I wasn’t allowed to watch much TV as a kid. 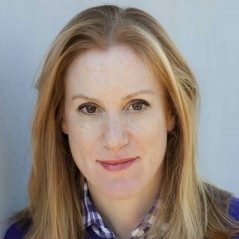 As a mom, I know that kids are TV-obsessed, and I was no different. My dad was from the generation that called the TV the idiot box and thought there was no chance we’d grow up smart if we watched it. We were allowed to watch one-hour per week with few exceptions. Dad set the rules, and my mom never openly disagreed. My father, who seemed to reserve smiling for special occasions, could be disapproving and critical, so when it came time for me to pick my TV shows for my coveted one-hour per week, I chose wisely. My first pick was always Mork and Mindy. Even as an 8-year-old, I loved his sweet innocence as well as the chemistry between Pam Dawber and Williams. And I loved the that Mork was different — born old, aged in reverse and from another planet. And yet, Williams’ portrayal of Mork was universal. His comedy was ageless, genderless and crossed generations. Everyone could appreciate the charming humor of Robin Williams on Mork and Mindy, even my dad. 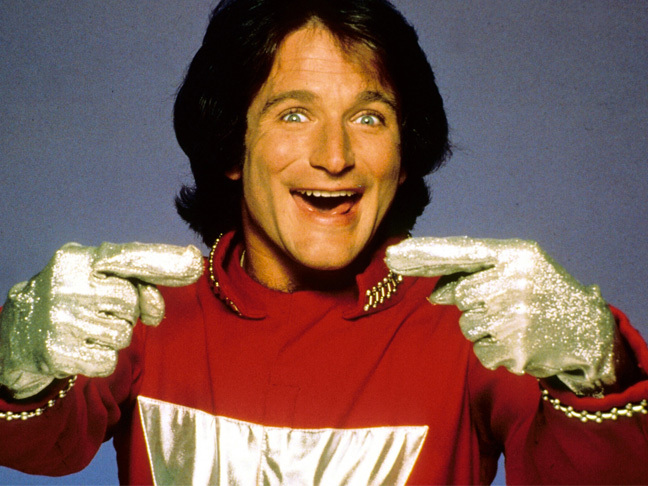 My sisters and I would sit cackling on the couch, howling with laughter every time Mork uttered his famous tagline, “Nanu nanu.” From behind us we could hear someone else laughing, too. Although he’d never sit and join us, dad would stand in the back of the room with his arms crossed, and he’d be laughing as hard as we were. He couldn’t bring himself to admit the Idiot box was harmless and fun, but for that half hour or hour every week, dad got as close as he could get to letting his guard down and enjoying himself. I always loved the kind humor and sadness Williams brought to his roles. He was the heart and soul of Good Will Hunting and could make anyone laugh with Mrs. Doubtfire. But his portrayal of Mork from Ork will stick with me most. Williams may have been a young comic getting his big sitcom break, but he was also bringing my family together, offering some much needed levity into an otherwise serious household. Despite his monumental success, Williams was open about his battles with substance abuse and clinical depression. Yet he was gracious with his humor and always had a kind twinkle in his eyes. I’ll always be grateful for the memories of laughing with my sisters and my dad courtesy of Mork and Mindy. My dad may not have been able to bring himself to sit down with us but he was there nevertheless. So thanks to Robin Williams for helping make my childhood a little lighter and a lot funnier. Nanu nanu.